For ABB servo motor repair, discover why TigerTek is the partner of choice for manufacturing facilities across the country! Our repair services for ABB & Asea Brown Boveri servo motors provide industry-leading quality, great prices, and exceptional turnaround time, saving our clients money and reducing downtime. All TigerTek servo repair technicians are certified and extensively trained on repairing the full line of ABB servo motors, including ABB permanent magnet motors, asynchronous motors, brushless motors, and stepper motors. All Asea Brown Boveri & ABB servo repairs are performed at our state-of-the-art, UL approved facility. TigerTek does NOT outsource servo motor repairs - we are a fully-staffed, dedicated repair operation with factory-trained specialists and a well-equipped inventory of OEM parts. All servo motors are repaired & returned to like-new condition before being run-tested and returned with a 1 year warranty. 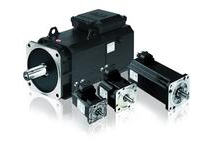 Discover the TigerTek difference - contact us for your servo motor repair needs.